On Saturday, Oct. 1, Biola University alumni and constituents in Dallas, Texas raised an additional $22,000 toward the total of $178.6 million raised for the university's campaign. 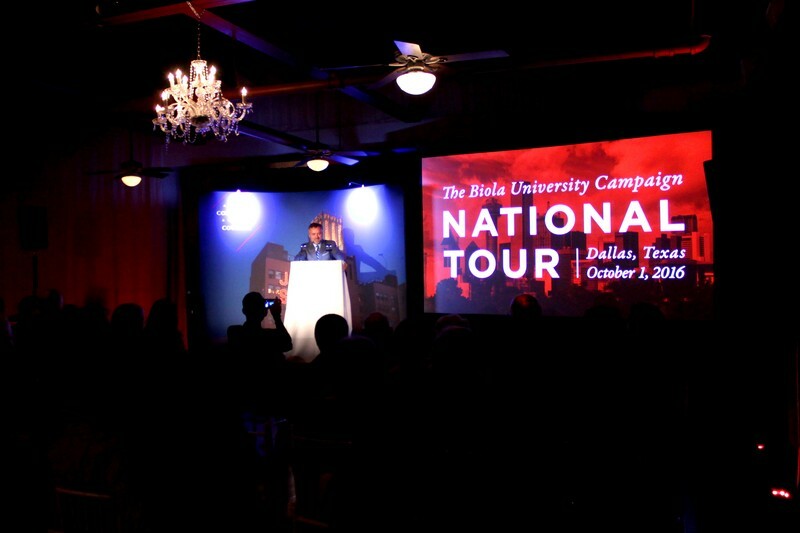 A group of 50 alumni, parents, and friends of Biola gathered in an event space near downtown Dallas to connect with President Barry H. Corey to learn more about “A Soul of Conviction, A Voice of Courage: The Campaign for Biola University” — a $180 million comprehensive fundraising campaign to raise support for student scholarships, facilities, academic centers and online learning. Rick Bee, senior director of alumni and parent relations, welcomed guests to the event and thanked them for joining for the first fall event of the tour. 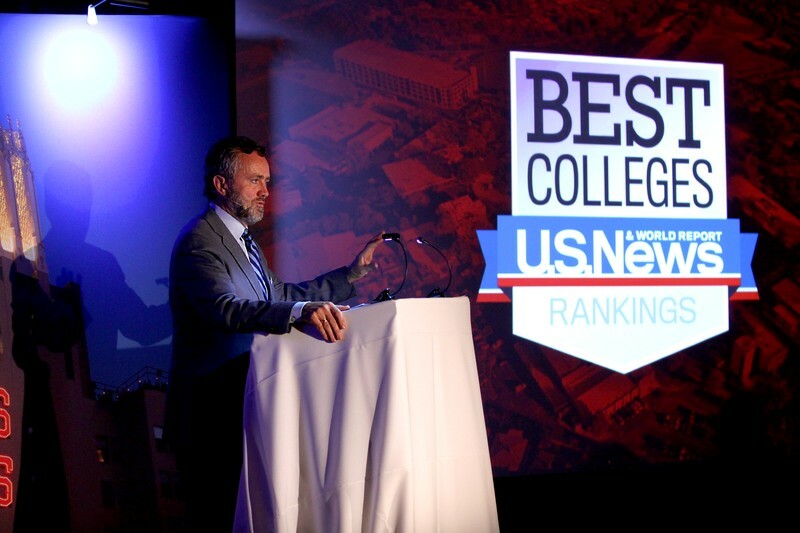 Bee also highlighted the strong regional connections Biola has with the Dallas area, as hundreds of alumni and students call the state of Texas home. The keynote speaker for the evening was alumnus Mark Matlock (’91), the executive director of Youth Specialties. Matlock, author of “Real World Parents,” “Raising Wise Children,” and “Ideas for Parents,” shared why Biola is vital for the education and equipping of future leaders and how his education at Biola has shaped his life and ministry. Following Matlock’s address, Corey briefly introduced guests to the details of the comprehensive fundraising campaign, including the focus on both student affordability and the Alton and Lydia Lim Center for Science, Technology and Health. Corey also announced the exciting news that The Campaign for Biola University had reached a total of $178.6 million committed to the campaign. At the close of the event, guests were invited to support The Campaign for Biola University. 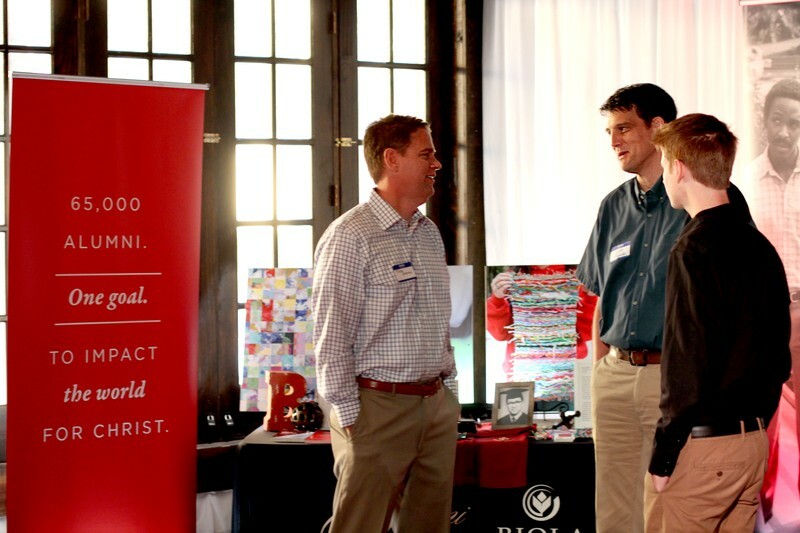 Due to the support of those in attendance, and the generosity of a $10,000 match gift made by a donor, more than $22,000 was raised at the event to support Biola’s vision. 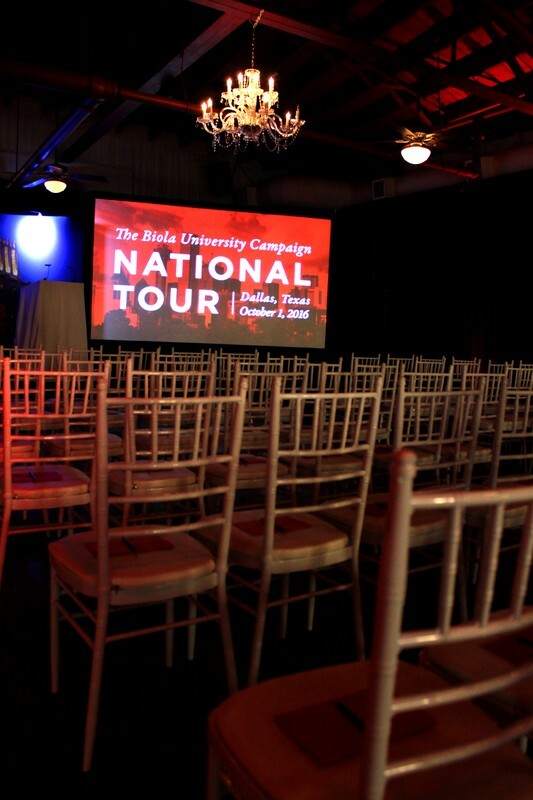 To date, the Campaign National Tour has raised more than $700,000 from national tour events and subsequent gifts by attendees. The Campaign National Tour continues with three final stops in Denver, Los Angeles and Chicago. For more information about the tour and future events, visit giving.biola.edu/nationaltour/.